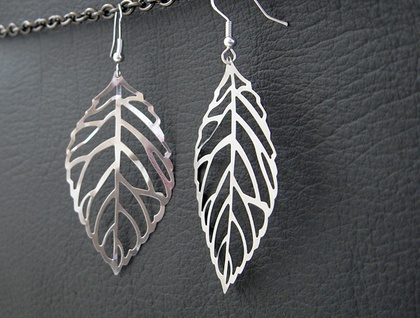 Silver skeleton leaves are suspended from silver-plated ear hooks. 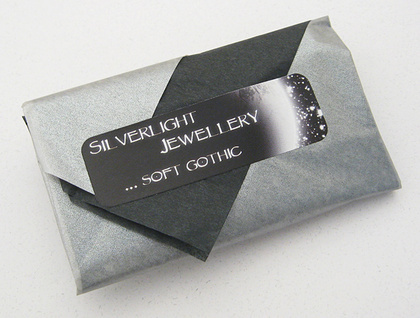 The leaves are silver in colour (not silver plated), and are without nickel. 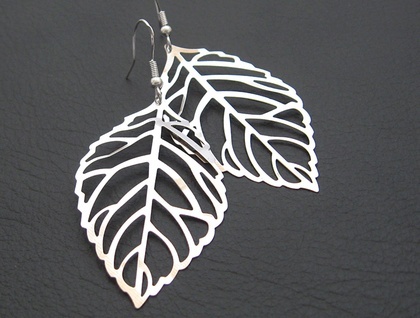 The ear hooks are made of copper and plated with sterling silver, which some people find hypoallergenic. They are stamped '925', which means that the plating is at least 92.5 percent pure silver (the definition of sterling silver). 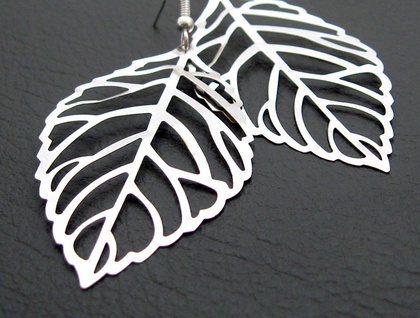 The 'Winter Leaf' earrings are very lightweight and easy to wear. They look stunning against dark skin or long hair. A beautifully simple design, and one of my most popular. The earrings measure 73mm from top to bottom. The leaves are 54mm long, and 32mm across at their widest point. For shipping and returns policies, and other information, please see the 'about the maker' link on the left.